NOT satisfied with the outcome last time it was up for discussion, Coffs Harbour City Councillor Keith Rhoades will once again raise the issue of funding for the Bunker Cartoon Gallery. He will raise a motion for consideration at next week's council meeting that would see $20,000 allocated to allow the gallery to move ahead with plans for the new permanent historic exhibition above the existing gallery. 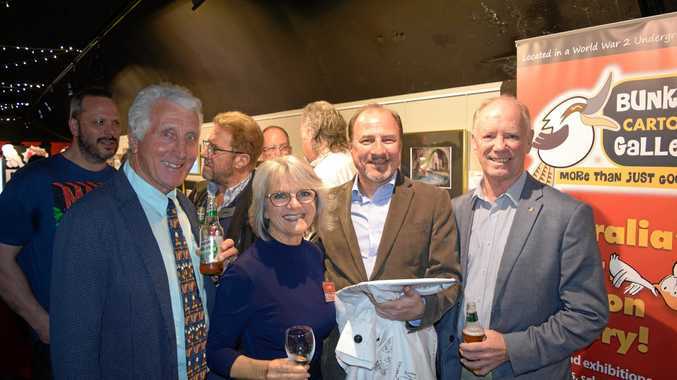 Cr Rhoades was at the gallery this weekend for the 30th anniversary of the Rotary National Cartoon Competition which once again attracted the cream of the nation's cartoonists. The Bunker's Chairman, Paul McKeon took the opportunity to announce the gallery will be changing its name to the National Cartoon Gallery and he outlined plans to expand the facility and create a permanent historic exhibition featuring the history of Australia from 1900 to today as seen through the eyes of cartoonists. If Cr Rhoades' motion is successful funds will be used to create a virtual example of what the permanent exhibition will look like, which the board can then show to potential donors. Last month Mr McKeon was bitterly disappointed when council voted not to support the allocation of $180,000 in seed funding to implement major upgrades at the gallery. Instead they supported an amendment, which will see the $180,000 broken down into stages including an initial payment of $20,000 to cover costs of preparing and lodging a development application and if that is successful further funds of $25,000 will be allocated to progress the project. It was a close call with mayor Denise Knight's casting vote ensuring the amendment was successful. "We were horrified. Quite amazed when they did what they did," Mr McKeon stated. Cr Rhoades was also clearly disappointed but hopes this new motion will secure $20,000 specifically for the permanent historic exhibition. "I'm still of the opinion that councillors didn't quite comprehend what the board is trying to achieve at very little expense to the ratepayer," Cr Rhoades said. "It doesn't allow them to move ahead with the museum on top of gallery. This time I am hoping councillors will see this is a unique opportunity for the gallery to secure 90 per cent of their funds from grants prior to the coming elections. 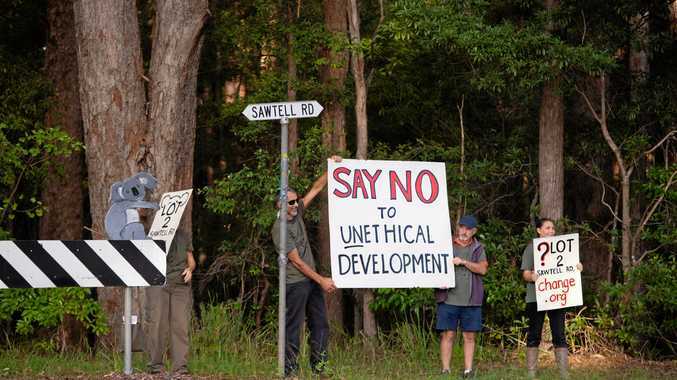 "The general manager recommended that council could allocate $180,000 in stages, but by council not committing to this, it doesn't send a good signal to State and Fed governments that they are behind it." Mr McKeon will be watching the outcome closely and has billed next week's meeting as "a showdown to decide whether the council supports the Bunker Cartoon Gallery, or it doesn't."